Clearly Korg couldn’t resist themselves. The Korg SP-170s builds upon all the great things that made its predecessor great, while adding in a few new improvements, all without changing the price. The design of the machine for the most part is the same, with the simple yet beautiful build and smooth surface. The machine once again comes with dependable and optional matching wooden legs and music rest. Unfortunately, while it comes in the customary black and ivory white colors, you cannot purchase the 170s in the limited edition red that came with the first version. NOTE: You can read our review of the Korg B1 now, which has since replaced the very popular Korg SP170s. 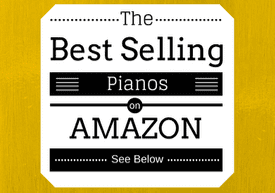 Below, compare the very affordable Korg SP170s to other pianos in its class based on weight, price, and even customer reviews from Amazon.com. One of the first things you will notice, if you’ve had any experience with the 170, is that they’ve now added buttons to the piano! I couldn’t believe my eyes when I first saw it, and I almost had a negative reaction inside, like for a restaurant changing their famous recipe, or an athlete discarding his most famous celebration. There could be a couple reasons for this, and my guess was there were too many people struggling with the key mechanisms for controlling all of the functions of the piano. The truth is, the button-less functionality of the Korg SP170 hasn’t altogether disappeared. The makers of Korg simply added another avenue, and now use some of the new buttons to retain the same task. But it isn’t as if they’ve added a completely new control panel, or a bevy of buttons. Only 4 buttons now rest on the surface of the machine. They are the power button and volume knob (which both used to be on the back panel of the 170), and the new Piano Play and Sound buttons. As you may recall, on the 170, to reach any of the various functions of the machine you had to press the A#7, B7, and C8 keys simultaneously, then press the correct corresponding button. Well now, you have a choice. To choose any of the ten tones, all you have to do is press the Sound button repeatedly, and you will cycle between the different sounds. Pressing the Piano Play button will immediately take you to the default tone, Piano 1, no matter what sound is selected. 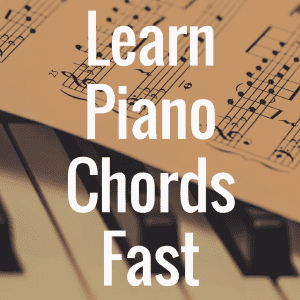 However, for those who became used to pressing the A#7, B7, and C8 keys, that function has been replaced by pressing the Piano Play and Sound buttons simultaneously. 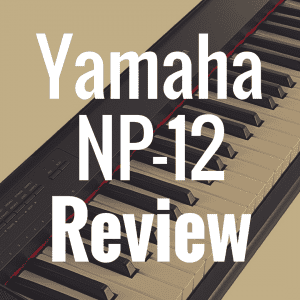 All of the same functions from the 170 have returned, and hold the exact same positions on the keyboard as before, from transposing keys, to the MIDI channels, to the Demo Songs. One thing that hasn’t changed at all is the wonderful sound of each tone, especially the default concert piano tone. I’ve been able to review a number of digital pianos, and in addition to my experience with acoustic pianos, I’ve come to the conclusion that Korg has been able to bring the perfect tone of an acoustic piano to the digital experience. You can tell that they meticulously spent time to sample and master each and every tone for every single note on this 88-key piano. 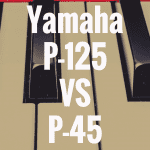 For the advanced player or the amateur this is truly a wonderful advantage, because you never have to worry about building bad habits on an unfamiliar machine, or getting used to a tone and sound that will set you back when you play a real piano. All ten tones have made it back to the Korg SP-170s. 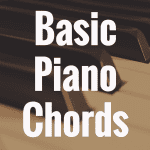 There are two grand piano tones, the first being elegant and warm, and the second having a clear and bright sound. There are also two electric piano tones, one being smooth and authentic, and the other having a modern touch to it. 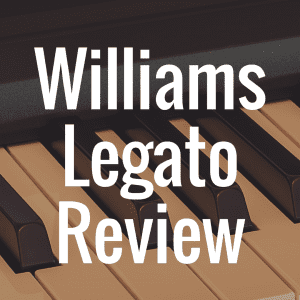 A classical harpsichord and an electric clavichord follow, along with a smooth vibraphone. Lastly, there is a strong pipe organ, a drawbar electric organ, and a wonderful ensemble string section sound. One of the more significant additions to the 170s is its enhanced stereo speaker system. Many times with the 170 a player may have been forced to hook up an amplifying system and speakers to better bring out the sound. Not with the 170s. Two 10cm by 5cm oval speakers have been added, and even the overall structure of the machine has been restructured to improve resonance and tone. You can still hook up that amplifier and speakers if you’re hell bent on having the neighbor’s hear your latest composition. I’m going to assume that most people interested in this digital piano don’t want the neighbors to hear them, which is why the dual headphone jacks on the back of the machine are a welcome addition. The option to use two headphones opens up the possibility for private student-teacher piano lessons or duet performance practices. These jacks can also be used to set up digital recorders or the aforementioned external amplifier. The price is just about the best thing about the Korg SP-170s. You can purchase this machine for just below $500. To me, for all the functionality of this machine and its clear professionalism, it’s really a sweet deal. I’ve had friends of mine who have commented that some $3,000-$4,000 workstations don’t have this much quality, only more sounds. With the addition of a proper music bench any piano player will be well on their way to enjoying the great playing experience of this work of art. 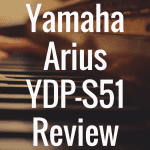 And for more reviews of digital pianos, please make sure to revisit our homepage so that you can be directed to your next helpful review. And lastly, please follow us on Facebook and Twitter! 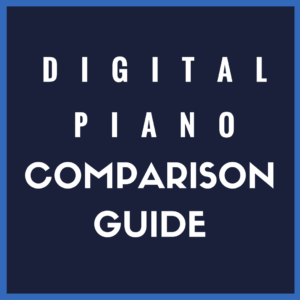 3) What’s the Best Korg Digital Piano?